The New Year signals a time of many celebrations across the country. Even in the days following New Year’s Eve, many people continue to have parties with family and friends. Some like to set off fireworks, so the January night sky is lit up by many amateur displays! Fireworks are dangerous though because they are explosives. A lot of people are aware of the risks they present to themselves and those around them, but many people neglect the risks they pose to their properties. At ServiceMaster Fire & Water Restoration, we provide our restoration services to many clients that have suffered fire damage. As a result, we decided to compile this short blog to help prevent these problems from happening to you. Listed below are ways to protect your home from fireworks. Most homeowners are guilty of having gutters filled with leaves, twigs, and many other flammable objects. All it takes is a stray spark from a firework to set a twig on fire that suddenly lights up the whole gutter and causes severe damage to your home. To avoid this, make sure all your gutters are cleaned and cleared-out before you start a display. Dispose of all the debris as well; because a pile of debris on your lawn can just as easily catch fire. It’s a good idea to water your garden before you start a fireworks display at home. Adding some moisture to your plants and bushes can stop them from setting alight if a firework or spark goes astray. Dry trees and plants are particularly susceptible to catching on fire. A burning bush can easily spread towards your home and cause fire damage. There are different types of fireworks available to buy. Some of them are much bigger than others and should only be used in professional display setting. If you have a small garden, then make sure you’re only using small fireworks that present a low-risk. A lot of issues arise when people are overly ambitious and release huge fireworks in a confined area. The further your display is from your home, the less risk there is of damaging your property. If you release fireworks a foot from your door, then the chances of it hitting your property are increased. To be cautious, move as far away from the house as possible to a cleared-out area. 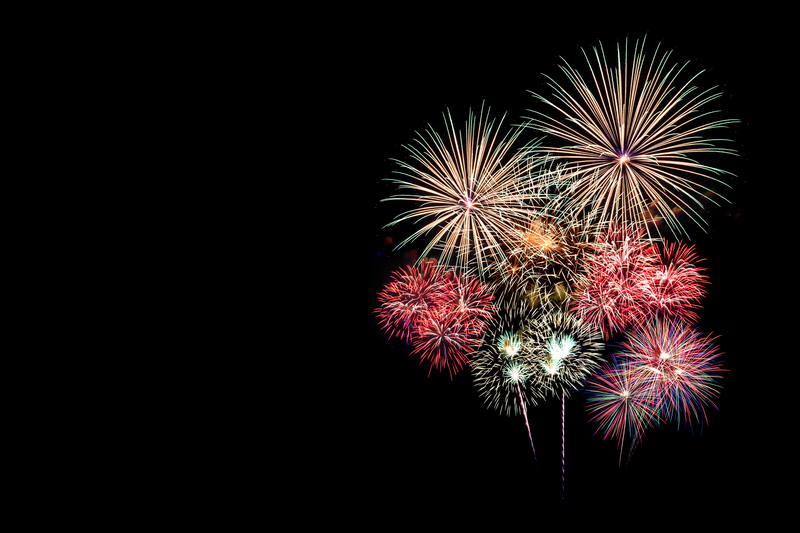 Following these tips will help you protect your home from fireworks this New Year! If an accident does happen, then ServiceMaster Fire and Water Restoration is here to help. We service both the Florence and Lexington, South Carolina areas. Our team will help restore your property following fire or water damages. Feel free to get in touch with us today if you're keen to learn more about our services or need our immediate assistance!